Zadan died Tuesday at age 69 of complications following shoulder replacement surgery. Together with longtime producing partner Neil Meron, Zadan brought live musicals back to TV in 2013, starting with NBC's The Sound of Music Live! starring Carrie Underwood. Zadan and Meron would go on to produce 2014's Peter Pan Live!, 2015's The Wiz Live!, 2016's Hairspray Live! and this year's Jesus Christ Superstar Live in Concert. The producing duo previously produced the CBS TV movie musical Gypsy starring Bette Midler, as well as musicals for ABC's Wonderful World of Disney. Zadan and Meron also produced the Oscars for three years in a row, from 2013 through 2015, with hosts Seth MacFarlane, Ellen DeGeneres and Neil Patrick Harris. 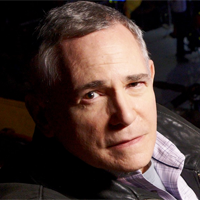 "I’m stunned and saddened the unexpected passing of Craig Zadan," tweeted Harris. "He’s been a friend my entire adult life, championed me to host the Oscars, brought musical theatre back to TV. A wonderful, kind spirit." John Legend tweeted: "RIP to our friend Craig. He produced Jesus Christ Superstar with us and also produced the Oscars when Common and I sang 'Glory' in front of a replica of the Pettus Bridge. A wonderful producer and a lovely man." NBC Entertainment president Robert Greenblatt, who tapped the producing partners to bring back live musicals to TV, called Zadan "my dear friend," adding: "Craig’s distinguished career as a passionate and consummate producer is eclipsed only by his genuine love for the thousands of actors, directors, writers, musicians, designers, and technicians he worked with over the years. His absence will be felt in our hearts and throughout our business." Others paying tribute include Kevin Bacon, whose breakout role in Footloose was co-produced by Zadan, and Sean Hayes, who tweeted "my life and career were forever changed by the opportunities he and his producing partner, @neilmeron, provided me over the years."